Wishing you all a relaxing, fulfilling day before getting back to the grind! #‎LaborDay‬ is about more than just barbecues and a three-day weekend. It’s a celebration of the working Americans who power our nation’s prosperity. But on this Labor Day, as we continue to recover from the great recession with a strong economic wind at our back, employers need to recognize their responsibility — to their workers and the nation — to help make sure that prosperity is broadly shared. 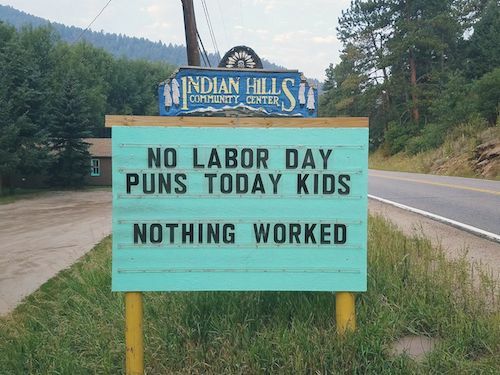 Replied by MyMountainTown on topic Happy Labor Day Everyone! Happy Labor Day 2016 to you all! "Fires can't be made with dead embers, nor can enthusiasm be stirred by spiritless men. Enthusiasm in our daily work lightens effort and turns even labor into pleasant tasks." My wife came home from work yesterday and was raging about her boss. She said to me, "I'm never going to work for that man again!". I asked her, "Why, what did he say to you?" Last edit: 04 Sep 2017 09:42 by MyMountainTown. Replied by MilestoneMortgage on topic Happy Labor Day Everyone! Thank you for this reminder. HAPPY LABOR DAY! On March 15, 1887, Colorado's Sixth General Assembly passed a law designating the first Monday in September as a holiday honoring workers. Less than a month earlier, Oregon had been the first state to create an official labor holiday. President Grover Cleveland signed legislation that made Labor Day a federal holiday on June 28, 1894. The Rocky Mountain News from September 6, 1887, covered Denver's Labor Day festivities. It was reported that around 2,000 people — "representatives of the various labor organizations and those in sympathy with them" — attended.